Small ECO 3rd ed. on a CD in four different formats (CIE, PGN, CBH, CA). The Small Encyclopedia of Chess Openings is based on the same 500 fundamental codes and system of elimination but it's a fifth the length. Instead of five books just one! The best and most up to date information. The creative output of generations of chess masters filtered for the reader's convenience. One of the main problems of tournament play is successfully negotiating the opening. The Small Encyclopaedia of Chess Openings gives easy access to clear and reliable information for the numerous chess players who have competitive ambitions but only limited time to dedicate to chess. 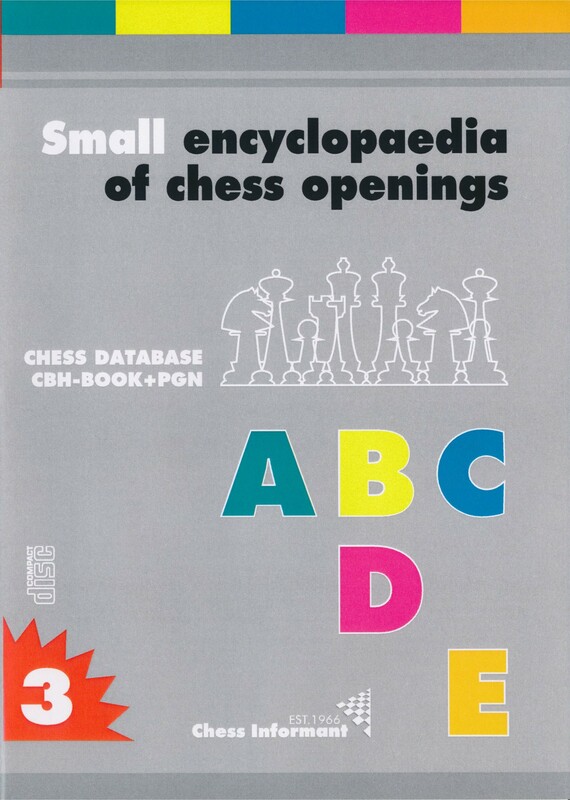 While for players with greater competitive experience and chess professionals, the Small Encyclopaedia of Chess Openings offers an ideal repository of information and the exact evaluation of critical lines.